PKT Loss Assessors works on your behalf, the Client, not the Insurance Company. We work closely with all our Clients throughout the claims process and will only accept final settlement offer following your approval. PKT only get paid Loss assessing fees when you receive payment form your Insurance Company. PKT’s team of experienced loss assessors will review your insurance policy and undertake a site inspection to assess the damage by a Chartered Engineer to establish the cause / contributing factors to the damage. 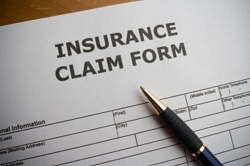 We will then review your insurance policy to establish the full extent of your cover regarding your claim. A detailed claim will be submitted on your behalf to the Insurance Company and our experienced Chartered Engineers will meet the Insurers Loss Adjuster & Insurance Engineers on site to fully identify all damages (structural or otherwise) and to ensure the scope of repairs is agreed and that all such losses are reimbursed to you including any benefits due to you from your insurance policy is included in your settlement amount. Our experienced Loss Assessors will undertake all negotiations on your behalf with the Insurance Company, once liability has been accepted, along with the submission of detailed costings and bill of quantities to ensure the best possible settlement can be achieved. We will keep you fully informed of all developments during this entire process. Call 01 491 2415 today or email info@pkt.ie for more information about PKT loss assessing services. PKT can also provide a turnkey project management service, including the preparation of designs / specifications, overseeing the complete refurbishment / reinstatement of your property if required. PKT have worked closely with many business and individuals over the years. Here are some of the comments our Clients are saying….